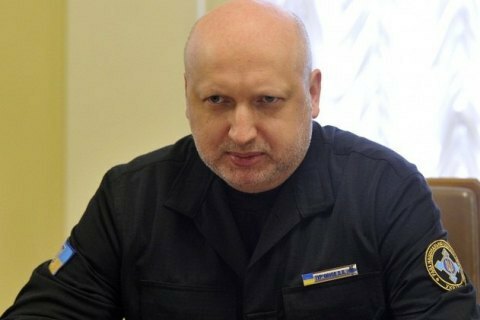 Oleksandr Turchynov believes the blockade would spur de-occupation. The Secretary of the National Security and Defence Council Oleksandr Turchynov believes that the flow of goods across the demarcation line in Donbas needs to be stopped entirely. In an interview to liga.net published on Friday, he stated in favour of a radical resolution of the problem of smuggling in the region – "banning any movement of goods and commodities". He said the opponents of such a policy urge that "some companies out there pay taxes to our budget, some products are exported and the currency goes to Ukrainian banks, our citizens live, they need jobs, etc." "I believe we should look at the experience of Croatia, which was in a similar situation in early 1990s," but a tough economic blockade has led to a prompt de-occupation of Croatian territories. "Accordingly, if we want to accelerate de-occupation of our territories, we will have to resort to radical moves," the Secretary of the NSDC said. However, the West opposes such a policy, he said. "My position is: we are in a war and we all have to work to win. Full isolation of the occupied territory will speed up its release. Otherwise, this longwinded process only prolongs the misery and suffering of the people who live there," Turchynov concluded. In spite of the war, Ukraine and the "D/LPR" established mutual trade, particularly in coal.